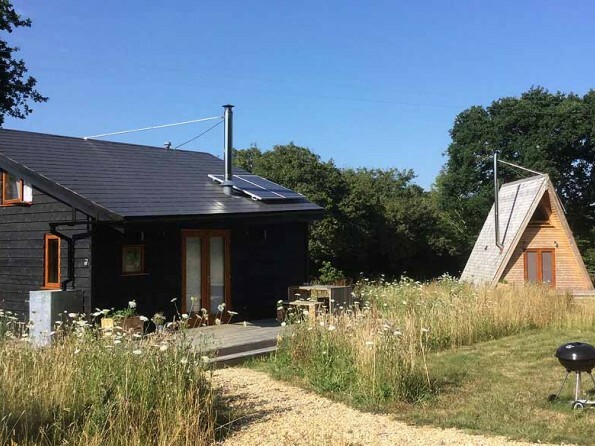 In a peaceful forest location on the Isle of Wight you will find a small collection of bespoke and architect designed off grid retreats, each one unique from the other. There's also a studio on site where you can participate in a variety of courses and workshops. 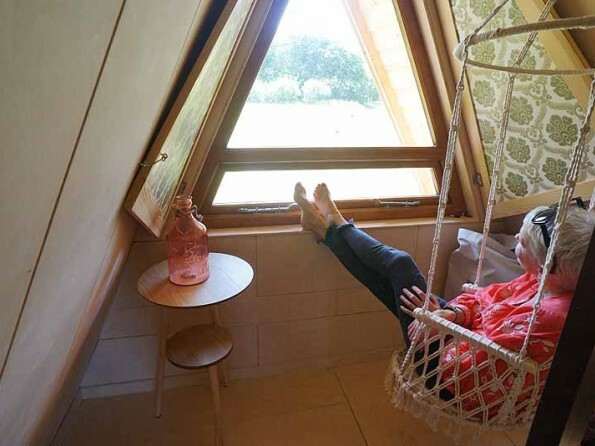 A wonderful place to relax and unwind in a low impact way! 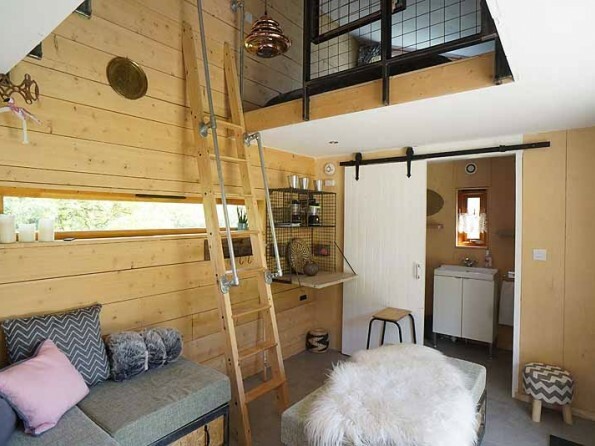 The Tiny Homes boutique retreat has a quirky glamping vibe, but is suitable for breaks all year round owing to the cosiness and warmth of these bespoke hand crafted cabins. 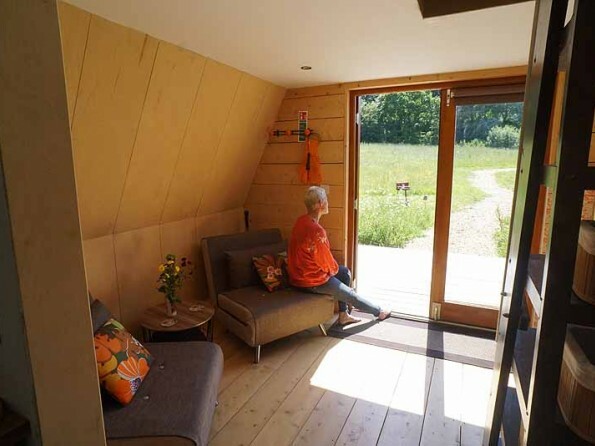 The Tiny Homes movement has been growing over recent years; the idea that people downsize their space in order to upsize their time, and to tread lightly on the planet and respect the environment at the same time. 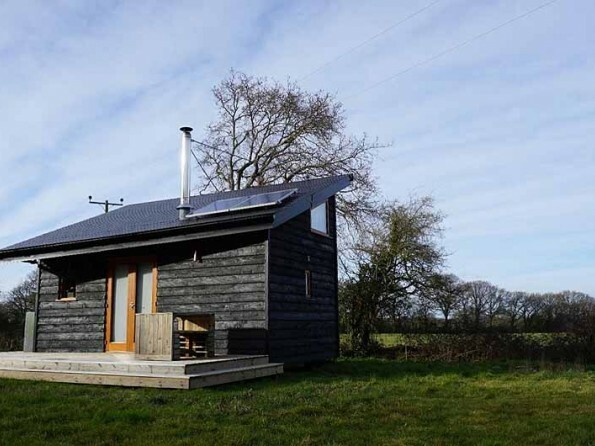 The Tiny Homes are very eco friendly, with solar power, composting toilets, wood burning sotves and recycling. 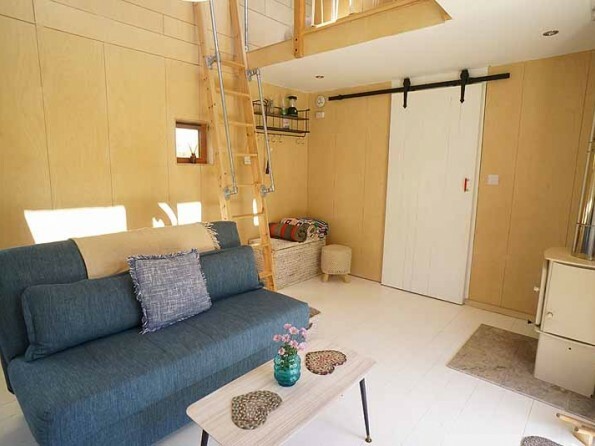 There are various workshops and events on offer in our studio that reflect the ethos of Tiny Homes. 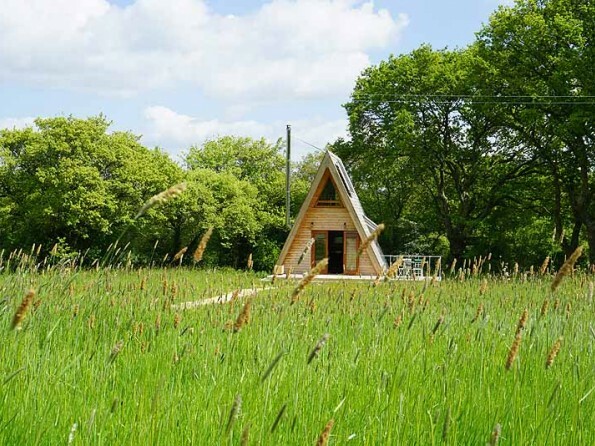 The Tiny Homes are set within a smallholding right next to the magnificent Parkhurst Forest. On your doorstep you will find walking trails, cycle routes and abundant wildlife, a short bike ride will take you to tranquil beaches, and the bustling town of Cowes is also within easy reach. 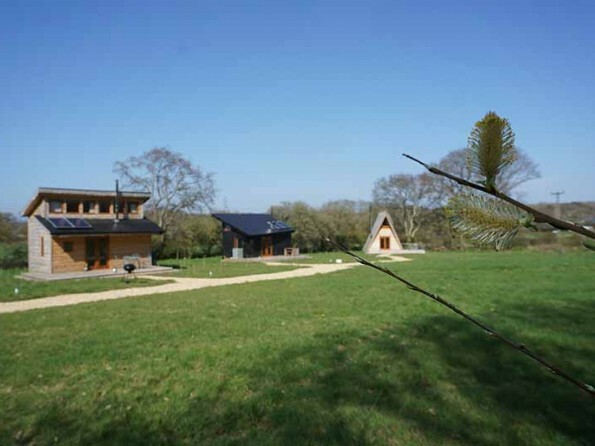 This is a perfect base from which to enjoy the Isle of Wight’s fresh air, beautiful scenery and gentle pace of life. Bembridge on the island. Southampton on mainland. 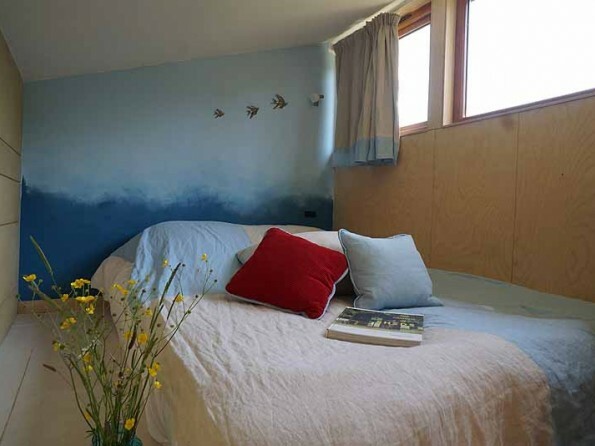 Each Tiny Home and sleep up to four people, either in two king sized beds or four singles. The each have a kitchen with cooker, hob, fridge with icebox, and plenty of utensils. 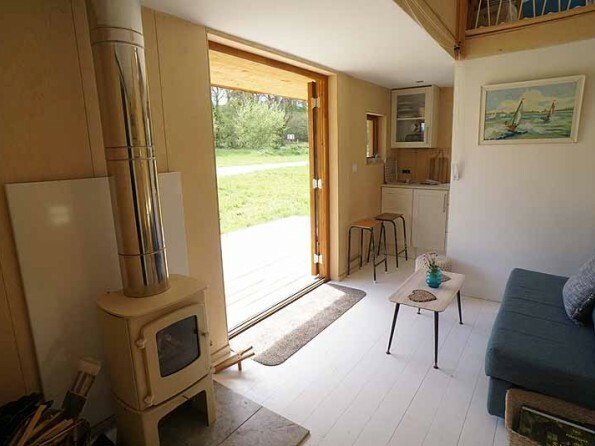 Each one has a private shower and WC and a woodburning stove. Linen and towlels are supplied. 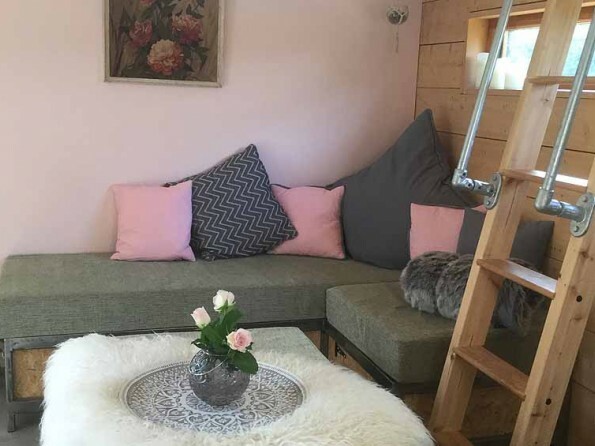 There is no wifi in the Tiny Homes themselves but there is wifi in the onsite studio. 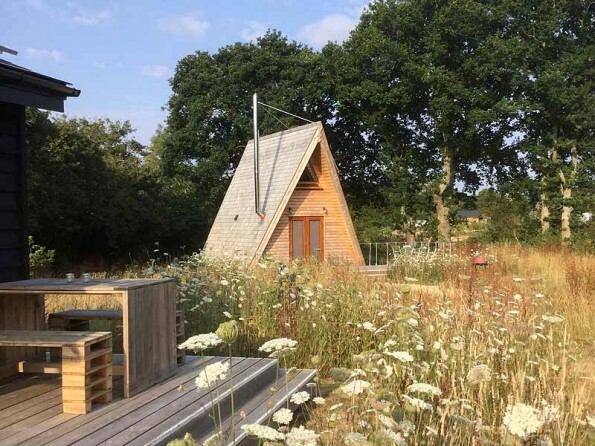 Outside there is a wooden deck with seating and a private BBQ and guests also have access to the Mandala garden (raised beds in a circular style) and the Studio where events and courses take place. 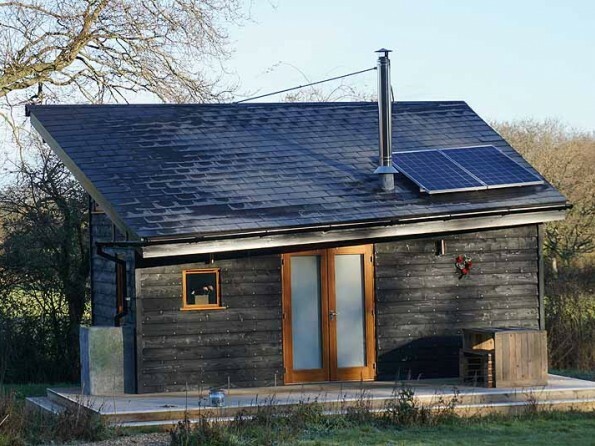 On the same site as the Tiny Homes is a wonderful multi purpose hub, The Studio. 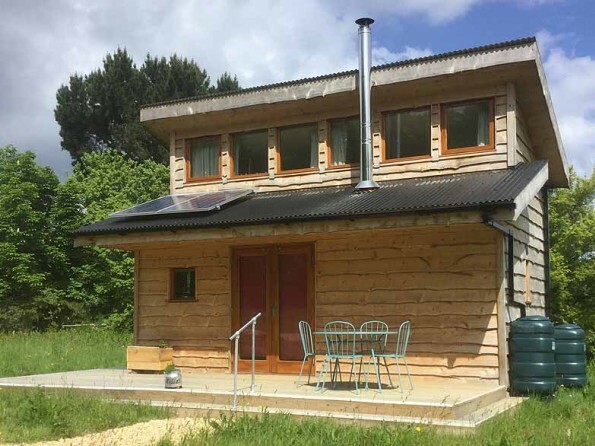 You can stay on site in the wonderfully unique accommodation whilst learning a new skill in the studio. 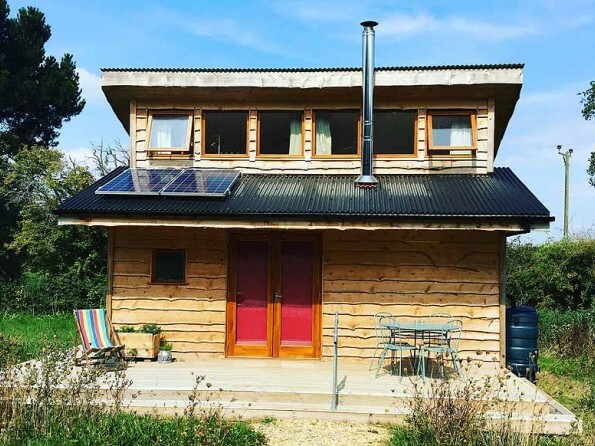 In keeping with the Tiny Homes Holidays sustainable ethos, courses have been carefully curated by the team to be an inspirational and unique experience. Tutors are selected based on their credentials and offer an exceptionally valuable insight into their craft, passing on expertise gained from experience. 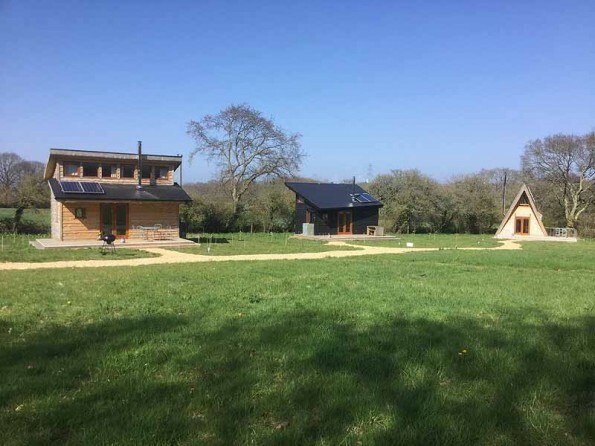 Here we host everything from writers talks and craft workshops to cooking demos and yoga with an emphasis on well-being in all its different forms.